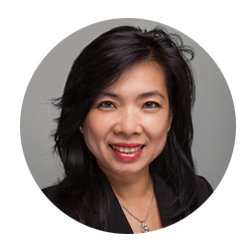 Lily Duong, Chief Clinical Officer, is responsible for the development of Therigy’s drug therapy management program and clinical reporting. Lily provides clinical expertise and oversees the team that develops custom clinical and adherence programs, as well as adherence metrics and outcomes reports for different patient populations and various disease states. Before joining Therigy in 2013, Lily held a variety of positions at Express Scripts, including Senior Director of Clinical Operations, Senior Director of Pharma Account Management, and Senior Director of Clinical Business Development. She also served on Express Scripts’ Therapeutic Assessment Committee. Lily received both her BS and Doctor of Pharmacy degrees from Temple University School of Pharmacy and completed residencies at hospitals and clinics in New Jersey and New York City. She also holds a BS in chemical engineering from Drexel University and has provided English-Vietnamese interpretation services for patients at the Hospital of the University of Pennsylvania.